Introducing the newly developed Expocell LI-18650LT low-temperature lithium ion cell. The LI-18650LT is an innovative new cell, chemically engineered to charge and discharge at a temperature threshold of -30°C or lower. 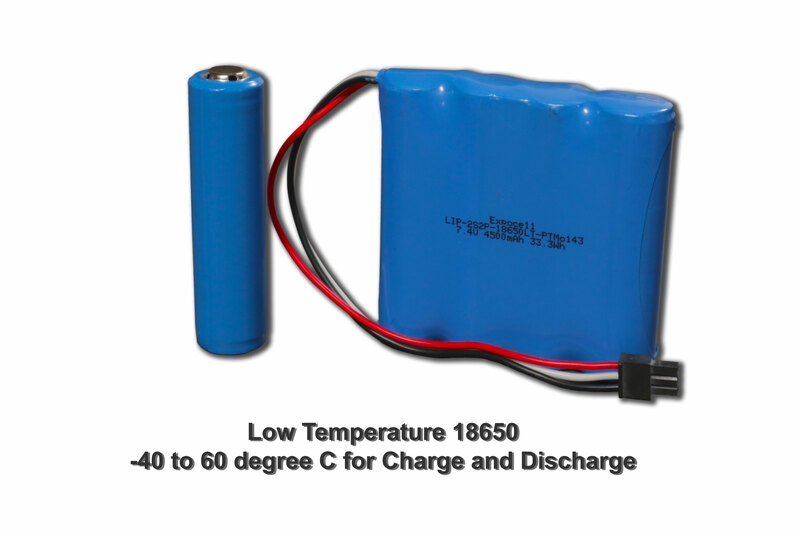 Standard lithium ion cells have charge temperature range of approximately 0° to 45°C because of the stresses temperature puts on the contents of the cell. This new Low-Temperature technology allows for higher charging currents at -30°C and lower without plating on the anode or other adverse effects associated with charging at low temperatures, especially at sub-zero conditions. Expocell Group is dedicated to bringing you new technology at the highest quality for your portable power solutions. For more information or specification on this product or to inquire on using for your application, please contact Expocell Group Inc.